LG today announced Optimus 2X, a new smartphone based on the NVIDIA Tegra 2 mobile processor. 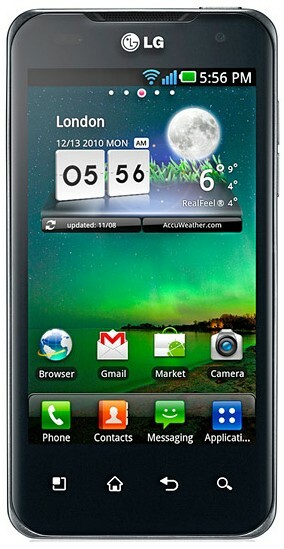 LG Optimus 2X is the first mainstream mobile phone to have the ability to record and play 1080p videos. It has a large 4.0 inch (480 x 800 pixels) touch screen, which is capable of playing HD videos at super clarity and depth. The device is based on Google Android platform and will be shipped with Android 2.2 on-board. The dual core CPU in Optimus 2X brings an up-to two-times performance increase than the current single CPU mobile phones in the market. Optimus 2X would be able to pay graphic s intensive games and load heavy complex web pages in an easy way. We have already mentioned that LG Optimus 2X houses a NVIDIA Tegra 2 chip. Many more NVIDIA Tegra 2 powered smartphones will be announced in coming days. NVIDIA Tegra 2 comes with a dual core ARM CPU and inbuilt GeForce GPU with ultra low power consumption. The processor will also support 1080 playback and recording. There is an HDMI output to facilitate the connectivity between the phone and external HD device. LG Optimus 2X enables 1080 HD video recording and photos with its 8MP camera. It also has a 2 MP front camera for making video calls. LG Optimus 2X will have a custom LG user interface over the default Android 2.2. UI. The device will come 8GB of internal storage, and that is expandable up-to 32GB using external Micro SD card slot. Other specifications of LG Optimus 2X include proximity, accelerometer, gyro sensors, 3.5 mm audio jack, large 1500 mAh battery, TV -out, high speed HSDPA/HSUPA 3G connectivity, WLAN, GPS, DLNA, Bluetooth with A2DP and inbuilt applications. LG Optimus 2X will be available from the Q1 of 2011, first in Korea and them other world countries. The price LG Optimus 2X is yet announced., But as per the details leaked in a Swedish website it will cost approximately $660 for a fully unlocked model. That is the price of LG Optimus 2X in India would be around 33000 INR. We will update you with the official price as soon as it is available. price of optimus 2 is rs.10990.